Kynseed hits Steam Early Access in a couple of days. Developer PixelCount Studios is gearing up for the Early Access release of its crowdfunded life sim RPG Kynseed. The usual fare one'd expect is most certainly there. 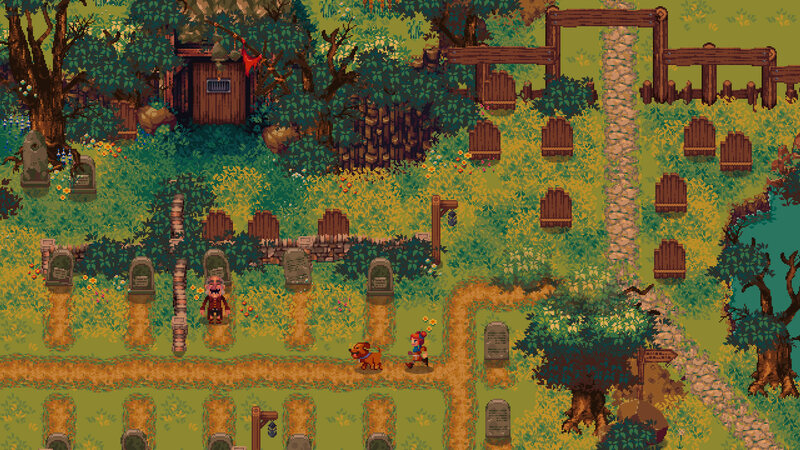 There will be farms and shops to care for, all rendered in charming, colorful pixel art. The kingless world of Quill throws baddies your way, which you must battle, but also lets you visit villages to discover their specific customs and tastes, helping with building relationships. Kynseed also looks to shake the formula up a bit. For starters, everyone in the world ages. Upon dying, you step into your children's shoes, the choices taken manifesting in a family tree that grows from the acorn after which the game is named. The three ex-Lionhead devs behind the project expect Kynseed to spend at least on year in Early Access. The title will launch with 19 explorable regions, all four seasons, items to find and tasks to complete. First drafts of combat and the blacksmith apprenticeship will also be available at launch. Control-wise, Kynseed will support both keyboard & mouse as well as controllers, players having the ability of seamlessly transitioning between the two. Its standout features such as aging and the family tree will, however, only be added later on. The title's price will be raised as more content is added to it and the developer stated that it aims "to deliver a full experience and never fleece you with dirty words like 'add-ons' and 'microtransactions'." Kynseed becomes available on Steam Early Access on November 8th, 2018. Check out its Steam page.